The ‘refugee crisis’ in Europe touches on fundamental issues of international law, criminal policy, criminology – and victimology. Public perception of and opinions on human trafficking, human smuggling and the situation of migrants in general is in a state of flux; perceptions and opinions are heavily influenced by media depictions and highly dependent on the general political climate of a society. Political, public and even academic debates are often polarizing events that are characterized by stereotypical arguments. In the course of such debates, distinct phenomena such as trafficking (THB) and smuggling of humans are often mixed to the point that differences between the two become increasingly blurred. The treatment of migrants under international law is equally ambivalent. The two main phenomena of interest for criminal policy – trafficking versus the smuggling of humans – are addressed in the two amending Protocols to the 2000 UN Convention on Transnational Organized Crime (Palermo Convention): the Protocol to prevent, suppress and punish trafficking, and the Protocol against the smuggling of migrants by land, sea and air. In the latter text, migrants are perceived as offenders rather than victims, in particular in the context of illegal smuggling. This is due to the fact that they represent the demand side of the illegal smuggling services, and it is this demand that is considered to be the main incentive for this branch of organised crime. This approach is reflected in the design of the related national statutory offences in which the migrants appear as co-perpetrators. Moreover, many jurisdictions have adopted a concept in which the illegal entry is the principal crime whereas human smuggling is legally designated as assistance – aiding and abetting – to the crime of the migrant. This concept is traceable even in those penal codes in which the assisting part has, in the meantime, been upgraded to a principal crime. However, the current legal situation – neither the international legal framework nor the statutory provisions implemented in major jurisdictions – does not reflect the victimological reality of migration. The distinction between trafficking and smuggling creates a significant divide in the treatment of victims. 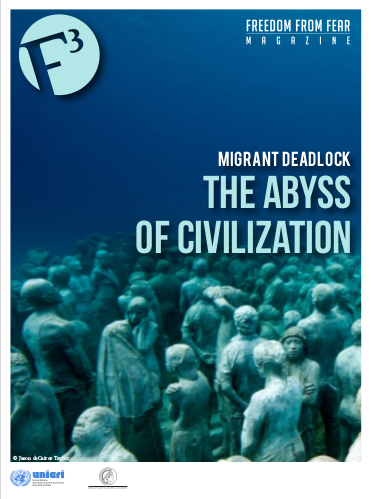 The same is true in regard to public, political and academic discussions which tend to neglect the reality of migration, which is characterized by the fact that not only victims of human trafficking but migrants in general are explicitly vulnerable and exposed to a multitude of victimization risks. These will be explained and analyzed in more detail in the following sections. Victimology distinguishes between various definitions of victimhood. Genuine victimological definitions are independent of, and broader than, definitions of criminal victimization found in legal codes. Non-criminal victimization includes categories such as human rights violations, discrimination and other forms of systematic injustice. The UN Basic Principles of Justice for Victims of Crime and Abuse of Power have adopted such a broad definition. A very common definition is based on the different dimensions of victimization. Primary victimization refers to material and/or physical and/or psychological (emotional) harm caused by the immediate victimizing event (crime) which can be a single (one-time) or a repeat event (re-victimization, serial or multiple re-victimization). Secondary victimization has its focus on re-traumatization and the consolidation of primary damages and their consequences which can be reinforced or fortified through relatives and/or social surroundings, through various instances of social control (police, criminal justice system) or through the media. Tertiary victimization addresses the longitudinal effects of primary and secondary victimization. Victimization can be further be classified according to the degree of involvement. Besides the direct victims, further persons can be affected as so-called indirect victims. Family members of a direct victim often fall within this group; indeed, to demonstrate the significance of family members as indirect victims, the renowned German victimologist Hans-Joachim Schneider once introduced the term “co-victims”. Highly affected indirect victims are certainly persons who have lost a family member through a lethal victimization. It is likely that most of the drowned migrants who were shipwrecked in the Mediterranean Sea because of the profit-driven overfilling of boats have co-victimized families who neither receive adequate victim support nor any public attention. In the aftermath of the mass victimizations in Rwanda, the former Yugoslavia and other regions, an additional differentiation between individual and collective victims has been acknowledged. Quite regularly, victimized members of ethnic minorities suffer more intensively as they have been hurt not only as individuals but simultaneously as members of a group. Christians emigrating from Syria or Yazidis from Iraq and Syria are just two recent examples that received some international attention. And finally, subjective perception is an important factor of victimhood: dependent on the concrete circumstances of an actual victimizing event, subjective feelings can be perceived totally differently from the objective incident. Migrants can fall under any of the typologies addressed by these definitions. The typologies can be of relevance in all the typical victimization risks that refugees face, as will be explained in the following section. Prior to emigration, direct or indirect victimization in the home country or the place of origin can be an important driving force for the individual decision to leave the country, either alone or with the family or parts of it. Further risks can arise in the preparation of their journey. 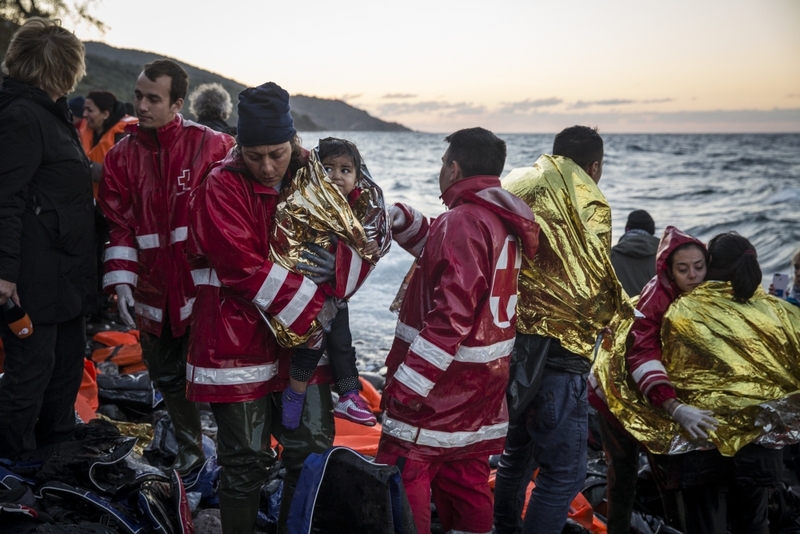 During the migration phase, refugees are most likely to be threatened by various direct or indirect victimizing situations in countries of transit; particular risks come up in connection with border transfers. Not enough, exposure to direct or indirect victimization often continues to occur subsequent to arrival in the place of destination. Life conditions marked by repeat or multiple experiences of victimhood are important determinants for the decision to migrate; in the literature they are referred to as a significant push factor. Whereas war is currently the main focus of attention (and which enjoys common consensus as a legitimate ground for flight) other threats such as killings of relatives or neighbors, displacement, political oppression, continuous ethnic or religious discrimination are not less traumatizing. Natural or environmental disasters, the loss of basic life resources (economic, social, healthcare, etc. ), pervasive corruption or chaotic economic or social life conditions can be similarly harmful. According to article 18 of the UN Basic Principles, desperate life conditions can be considered as victimologically relevant. Preparation of the escape often produces further risks of impairment through theft or torching of property left behind or through extortion or deceit when property has to be sold at any price to generate at least a bit of income for the financing of the journey abroad. While reflecting the pros and cons of emigration, when the decision to leave enters the phase of concrete planning and preparation, individuals are also vulnerable to human traffickers. During transit, migrants are prone to a variety of victimization risks and are extremely vulnerable, due to the loss of their regular social networks and the situational reduction of their individual resources for self-defence. Deprivation of liberty, assault, aggression and violence by police and border control forces are as prevalent as corruption and arbitrary treatment by civil service agents which include police, border control and immigration officers, but also members of military or para-military forces, or, as currently in some regions in the Middle East, ISIS and other terrorist groups. Additional victimization risks faced by refugees include fraud, harassment, extortion and racketeering by smugglers or traffickers, theft, robbery, extortion, harassment, assault and even killings by criminals or ordinary citizens of the transit region, as well as theft, robbery, extortion, harassment, assault and killings by other migrants. Particular risks exist in the context of border transfers. This becomes explicitly prevalent when refugees do not have some or all of the necessary papers or transfer titles. A first imminent source of endangerment under such circumstances are systemic-structural risks arising from the need to conquer natural barriers, such as drowning, freezing, dying of thirst, etc. These menaces have become most prevalent in the current refugee crisis, and have led to thousands of victims drowned in the Mediterranean Sea. Risks further arise from technical systems of border control; these can be alarm systems, fences, razor-wired barriers or even mines or similar lethal installations. Hazards can, finally, arise from inter-personal interaction or confrontation in the context of so-called control encounters. Besides the fact that these can be another situational cause for corrupt exploitation, such encounters are prone to produce hazards linked to the use of weapons, firearms or physical violence (including bites from police dogs). These latter examples point to a further category of indirect personal risks which may arise from traffic accidents caused by stress related to the escape, or the attempt to escape, such encounters; voluntary acts of desperation or even cases of suicide have been witnessed, too. At the place of destination vulnerability continues. The risk of victimization is higher for immigrants than for the regular population. Risk factors include the loss of the cultural environment, the lack of or interruption of social bonds, insufficient integration in the new society, low trust in state institutions and – particularly for illegal immigrants – the fear of being detected and expelled. Refugees quite often face discrimination, xenophobia, hate crime and aggression by citizens of the host country. Inter-group and intra-group pressures are as prevalent as victimizations from property crime and violent crime including sexual harassment and exploitation in camps and mass dwellings. Exclusion from the regular labor market can increase exposure to and involvement in trafficking or other criminal activities. Unfriendly treatment in every-day life and status-related criminalization can further increase the perception of unfair treatment and contribute to the perpetuation of stress symptoms or stress disorder from prior victimization and traumatization. Victims of human trafficking are in a somewhat different situation. On the one hand, they may have a lower risk of – occasional, unrelated – victimization during the transit than migrants, because traffickers often have an interest to keep control and to protect ‘their’ victims in order to make sure that they reach the country of destination in relatively good physical condition. On the whole, the victims of trafficking may therefore have a safer journey than migrants who place their lives in the hands of reckless smugglers. On the other hand, these victims are systematically exposed to continuous, systematic victimization once they arrive at their destination. Besides their ‘core’ victimization though sexual or labor exploitation, they suffer from intimidation, coercion, abduction, threats, use of force, deceit, fraud, etc. An additional component is the increased threat of indirect victimization in cases where family members or friends in the victims’ home country become the subject of intimidation or extortion. This short article has shown that all groups of migrants are explicitly vulnerable and, at the same time, exposed to increased risks of victimization. It is not too speculative to assume that only a very small minority of migrants have never suffered from any victimization throughout their odyssey. On the contrary, many of their personal biographies would disclose horrible records of victimization and trauma experienced at home, during transit and even later in their place of destination. In addition to specific risks related to their status as migrants, they also face the same risk as any other citizens of becoming victims of conventional crimes which have not been specifically highlighted here. In light of the plethora of threats to which all migrants are exposed (and which have been sketched here only very briefly) the question has to be put forward as to whether they receive sufficient protection through international law. To date there are significant differences in international victim-policies which are symbolized by the different standards of support for and protection of victims as provided for by the 2000 Palermo Protocol no. 1 on trafficking in human beings on the one hand, and Protocol no. 2 on the smuggling of migrants on the other. Whereas the THB Protocol has a strong focus on victim protection and victim support, the smuggling Protocol appears, first and foremost, to be an instrument of criminalization – notwithstanding the fact that the latter includes at least a few provisions addressing some victimological aspects, in particular in its article 5 which provides that migrants shall not be liable to criminal prosecution for the fact of having been smuggled. This obvious distinction between the two groups of victims certainly contributes to the public perception that migrants are criminals. More generally, they do not meet the common stereotype of the ideal victim. Unlike victims of THB who enjoy a privileged status of protection, ‘ordinary’ migrants can at best enjoy general standards of victim assistance and victim protection effective at their destination – at least in jurisdictions in which access to protection has not been barred for victims who have been involved in any kind of illegal activity before. Otherwise, it can happen that the legitimate victim status of migrants is denied just for the fact of having passed a state border illegally. This is in contradiction to one of the basic principles of justice for victims according to which the same victim rights shall be applicable to all, without distinction of any kind (1985 Declaration, para 4). Ultimately, the question is whether a politically motivated differentiation into two groups with two different standards of protection can be justified, especially in light of the enormous victimization risks to which all migrants are exposed. Dr. Michael Kilchling is a senior researcher at the Max Planck Institute for Foreign and International Criminal law, Department of Criminology, Freiburg, Germany.